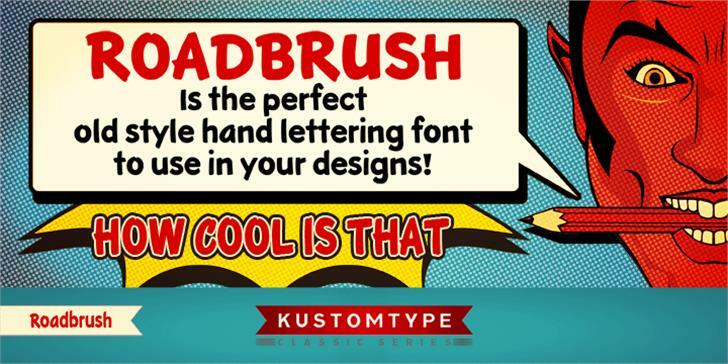 Demo version of Roadbrush font. A full licensed version, including all glyphs, upper and lowercase, diacritics, perfect kerning and embedding rights, is now available for a small fee! KTF-Roadbrush is a trademark of Copyright (c) 2011 by Coert De Decker | Kustomtype.